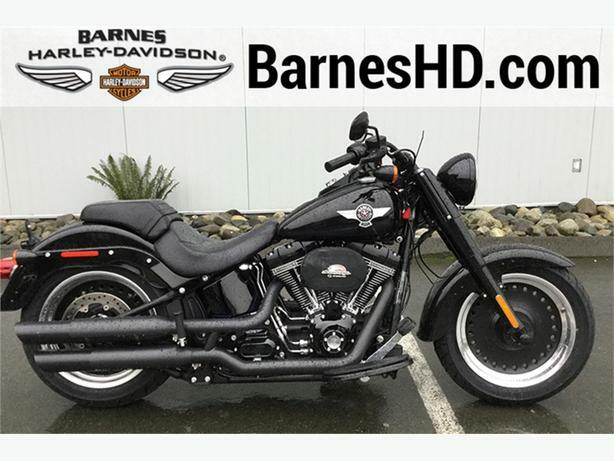 The Fat Boy® S model gives you modern power in a blacked-out classic. The gloss black Screamin' Eagle® Air-Cooled Twin Cam 110B(TM) engine is complimented by blacked out styling details wheel to wheel. You get gloss black lower forks, axle nut covers, handlebar and riser; black brake lever and hydraulic clutch assembly; and black over/under shotgun exhaust with slash cut mufflers. Take a ride on 110 cubic inches of dark style.